Lilies may be sent closed/partially closed in order to prevent damage and to last longerVase not included. To personalise your gift, you are able to select a vase to complement your order. For In Bloom, we recommend a Superior Vase to leave a lasting impression. Claire says: "I think the mix of flowers and colours in this bouquet work really well together. I love how bright and eye catching it is. 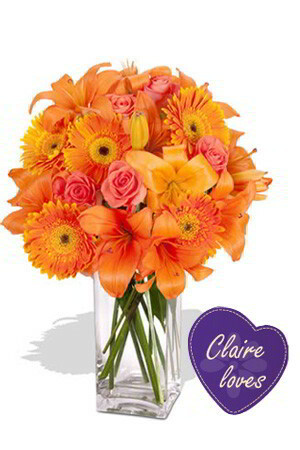 Everyone loves Lilies, Gerberas or Roses so why not send them all? This one is sure to please!!"